Little Ralphie just wants a damned BB gun for Christmas and all anyone can say to him is “you’ll shoot your eye out.” Adults are always shooting a BB into the eye of their children’s hopes and dreams. Odds are you’re at least somewhat familiar with Bob Clark’s holiday classic A Christmas Story (1983). It usually starts airing sometime around the end of Thanksgiving and continues on through Christmas morning every year. Seriously, it’s always on. Because of this (and because it’s a pretty great Christmas movie) it has managed to worm its way into our holiday consciousness. Nearly everyone remembers something about the film, if not its entirety. Perhaps the “queen mother of dirty words”? Or the triple dog dare that leads to poor Flick getting his tongue stuck to a flagpole? 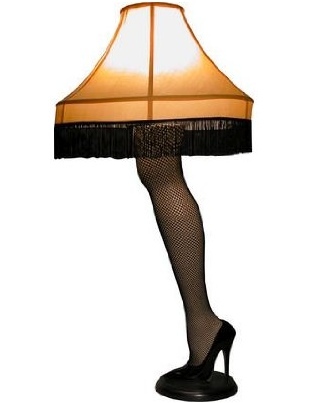 The leg lamp? Oh, that leg lamp. It was kind of hot, no? Ah, to be a kid again. A Christmas Story could be considered Bob Clark’s masterpiece, despite the fact that he gave us Porky’s 1 & 2 (1982 & 1983) in addition to starting his career on the high note that is She-man (1967), which is about a “soldier forced to take estrogen and wear lingerie after being blackmailed by a violent transvestite.” They should show that every Christmas! But A Christmas Story isn’t Bob Clark’s only foray into holiday territory. In fact, it’s not even his first. 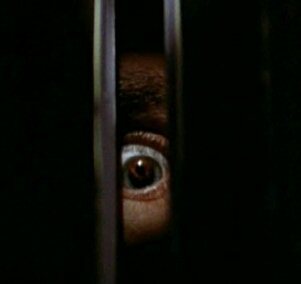 In 1974 Mr. Clark brought us a film that would help shape the slasher genre as we know it today: Black Christmas. As a slasher film, it’s top notch, with scares that still hold up today. As a Christmas film, well, that’s a matter of taste. A group of sorority girls are hosting a Christmas party when a deranged and disoriented man (not a frat member) climbs into their open attic window. Soon they begin receiving creepy (super creepy) phone calls. Some seem like inane babbling. Some contain inhuman sounds. The calls become increasingly threatening and bizarre, and it’s not long before the man begins creatively dispatching the girls one by one. They’d be lucky to get a BB in the eye! Speaking of eyes, that’s all you’ll ever see of this mouth breathing, Christmas-hating jerky boy. Chilling shots of his lecherous eye peering through cracks and holes in the wall, lit with a spotlight. Couple that with the calls and you’ve got the makings of one serious boogieman! Ho, ho, ho. 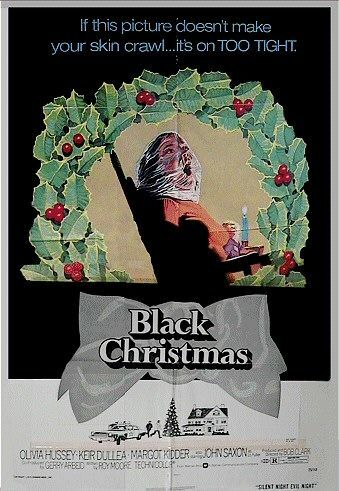 Perhaps this year I’ll have a nice little Bob Clark Christmas? A Christmas Story followed by Black Christmas? Or, if I’m ambitious, a bizarre, re-edited mash-up? You Tube, here I come!